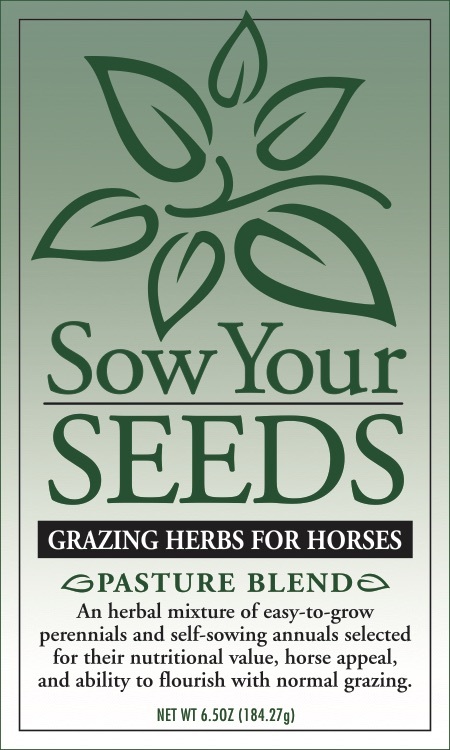 Sow Your Seeds is a combination of hardy herbs that can be easily planted at home, in your pastures or you can even harvest fresh herbs to take on the road with you to events and shows. 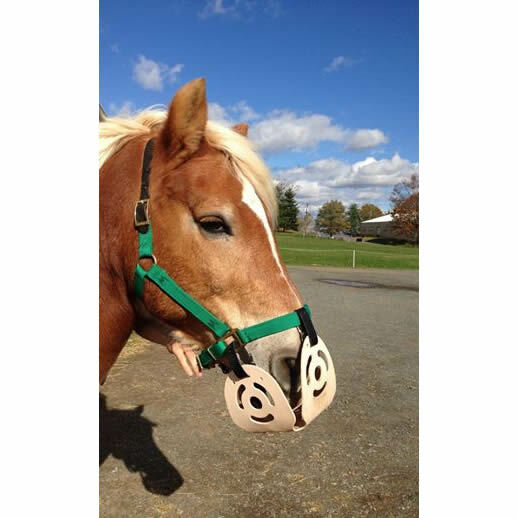 The mixture contains perennials and self-sowing annuals that horses would naturally seek out if they could free graze the countryside. 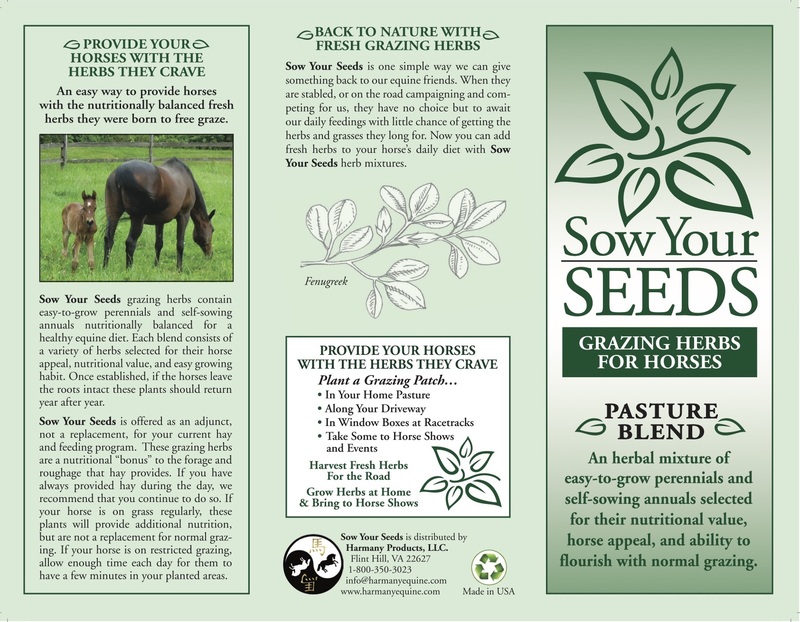 Sow Your Seeds Pasture Blend is comprised of eight different plants that can withstand heavy traffic in the heartland of your field. The herbs can be planted in strips or patches of your field to mix in with the rest of your pasture grass. Sow Your Seeds comes in 6.5 ounce packages, that makes it easy to handle and plant. It includes chicory, echinacea, fennel, fenugreek, lemon balm and melilot.